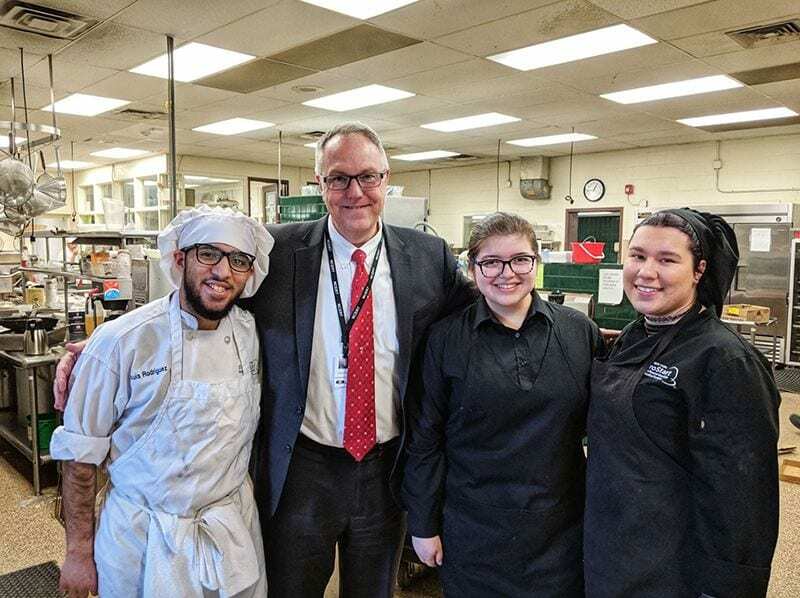 I recently had the opportunity to have lunch prepared by some of our Tappan Zee High School students at the Rockland County BOCES Culinary Arts Program. While I was eating my lunch, I had the impulse to give this meal a five-star review on Yelp. However, I had to continually remind myself that this was a Career and Technical Education program and not an exclusive restaurant listed on Yelp. I started with a mixed green salad with marinated cherry tomatoes and had a choice of two entrees. The entree I selected was a delicious, sauteed breast of chicken with artichoke hearts and roasted peppers, grilled baby carrots and roasted potatoes. For dessert, I had deconstructed raspberry cheesecake. The meal was amazing and reflected the culinary talents and personal dedication of the students. 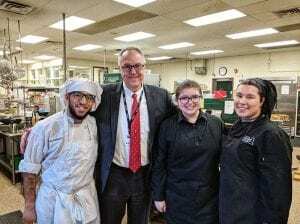 After lunch, I had the opportunity to meet with our Tappan Zee High School students enrolled in CTEC culinary arts training at Rockland BOCES (pictured below): Louis Rodriguez, grade 12; Tatiana Guzman, grade 11; and Elizabeth Caramante, grade 12… Continue reading Dr. Pritchard’s post.